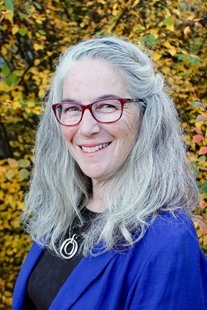 Deborah Licht is a professor of psychology at Pikes Peak Community College in Colorado Springs, Colorado. She has over two decades of teaching and research experience in a variety of settings, ranging from a small private university in the midwest to a large public university in Copenhagen, Denmark. She has taught introductory psychology, psychology of the workplace, abnormal psychology, the history of psychology, child development, and elementary statistics. She has experience in traditional, online, and hybrid courses, and is particularly inspired by first-generation college students who turn to community colleges to pursue their education. She received a BS in psychology from Wright State University, Dayton, Ohio; an MA in clinical psychology from the University of Dayton; and a PhD in psychology (experimental psychopathology) from Harvard University. She continues to be interested in research on causal beliefs and their influence on behavior, particularly in relation to how college students think about their successes and failures as they pursue their degrees.